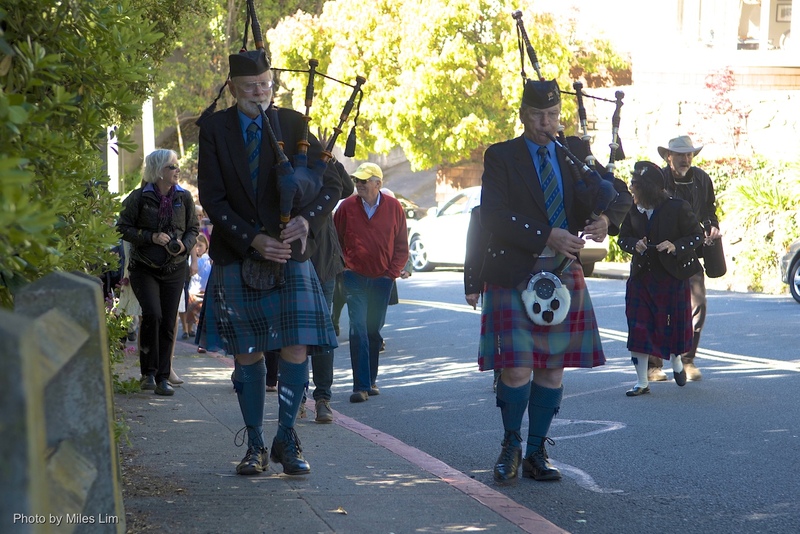 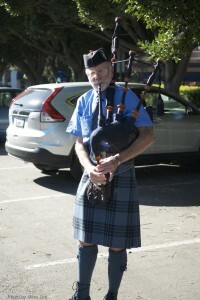 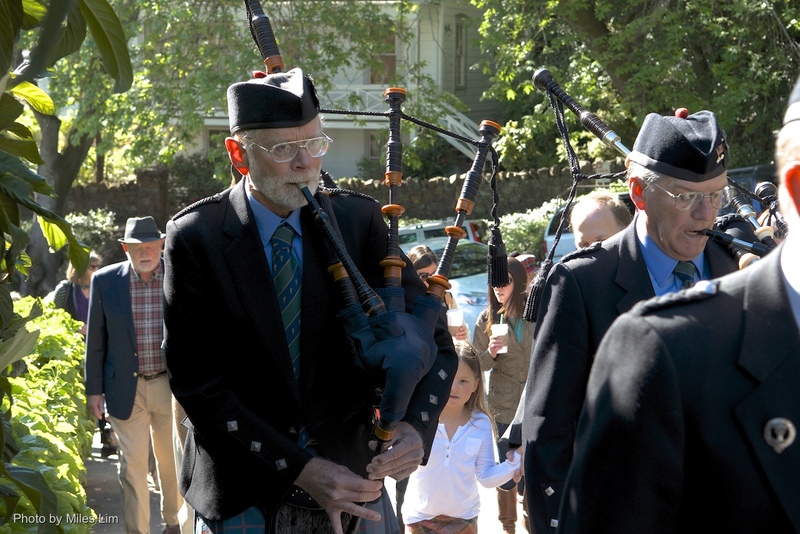 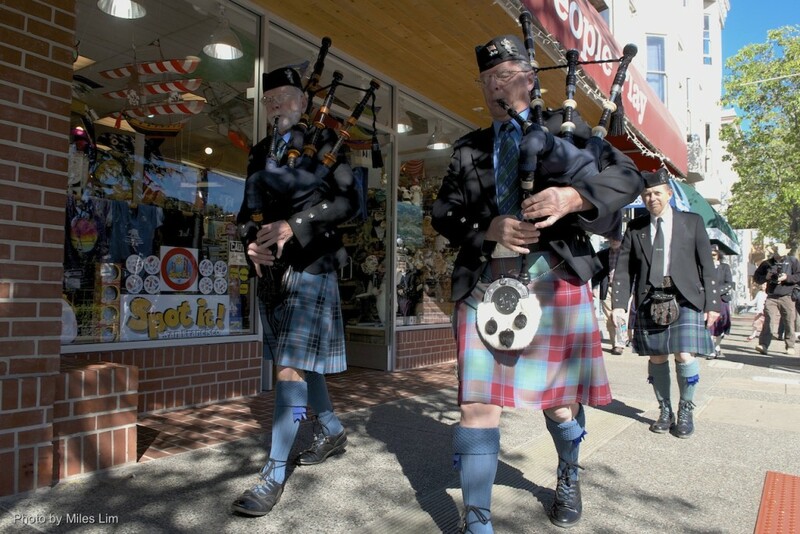 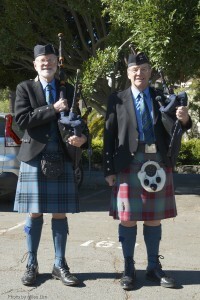 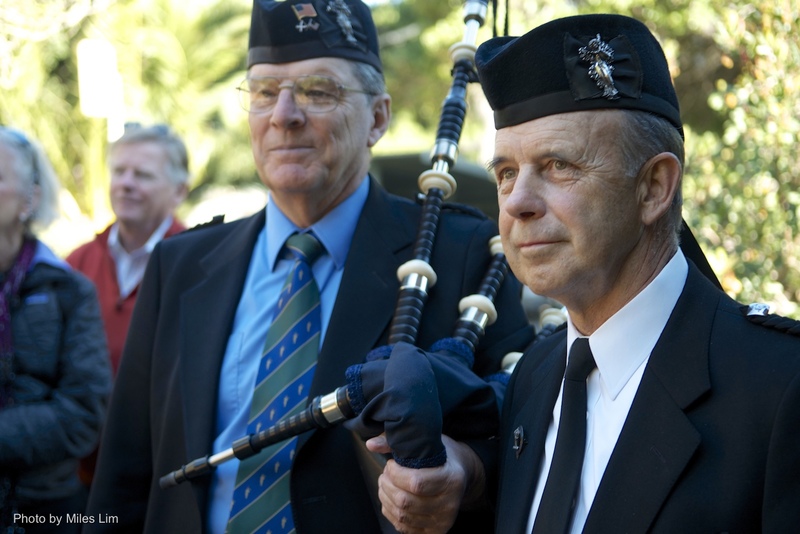 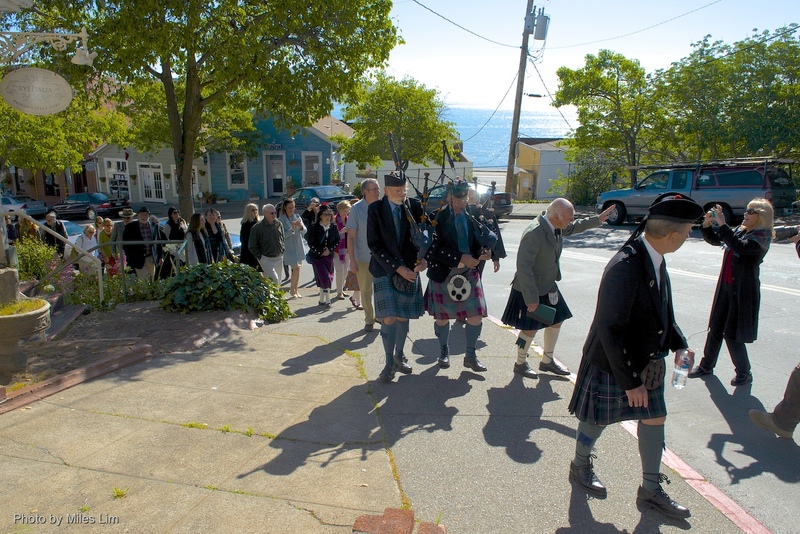 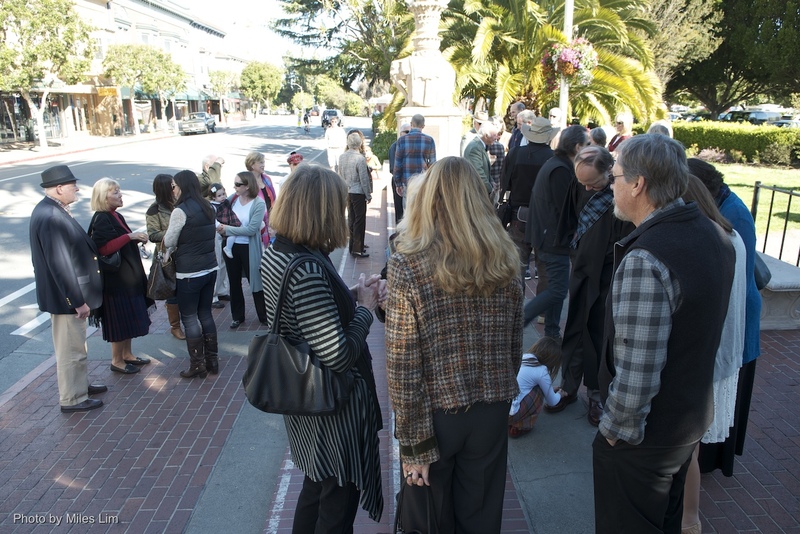 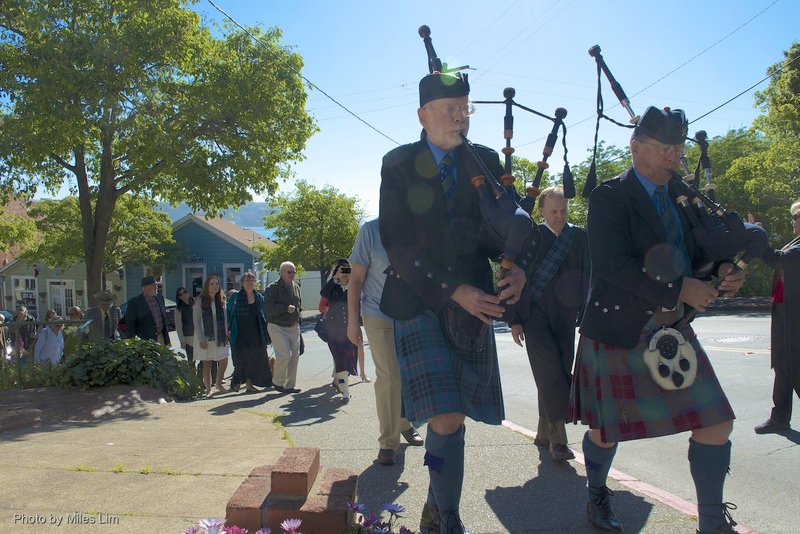 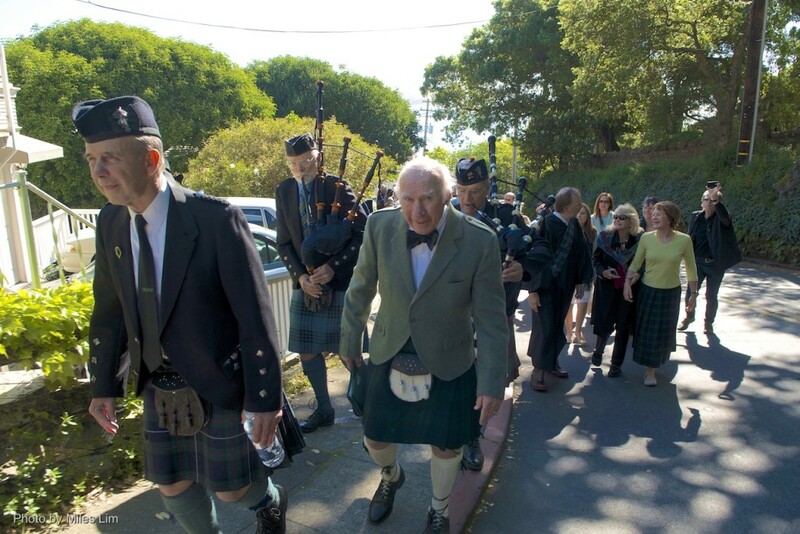 A cheerful crowd followed Larkspur’s lively MacIntosh Pipe Band’s pipers Lindsay Hall and Bob Hollingsworth down Bridgeway and up Princess Street until they arrived at the steps of the church. 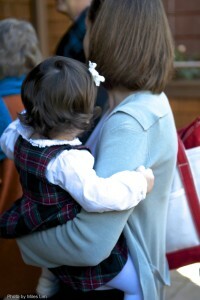 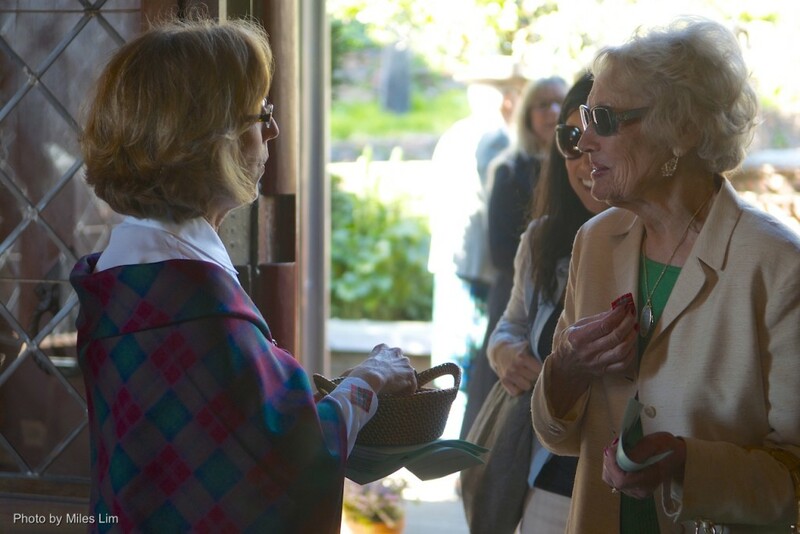 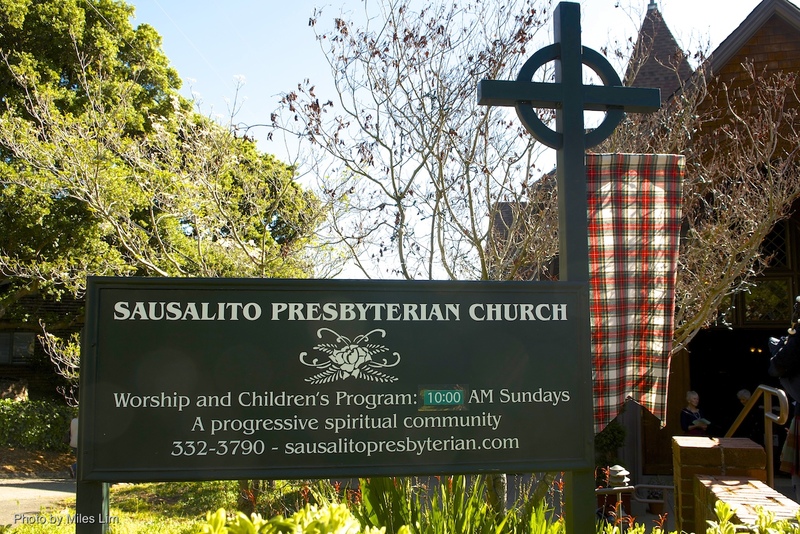 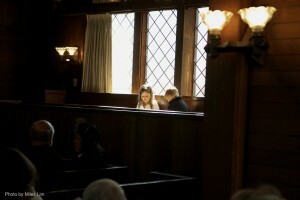 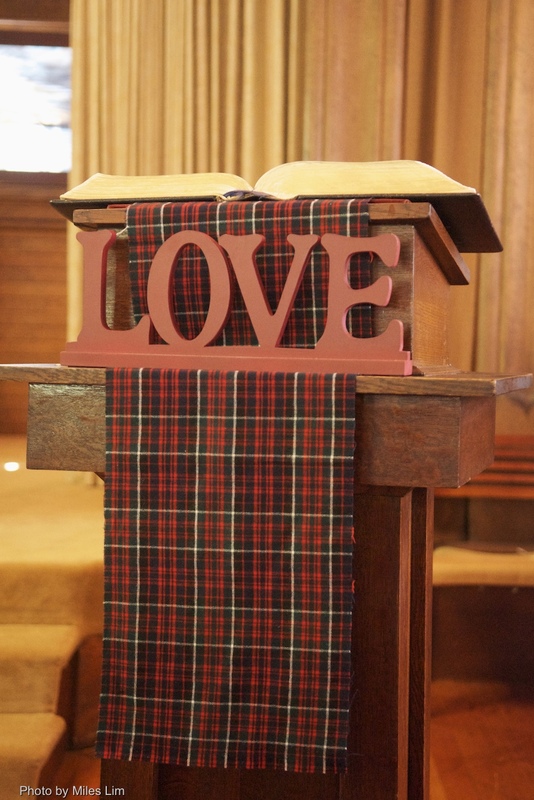 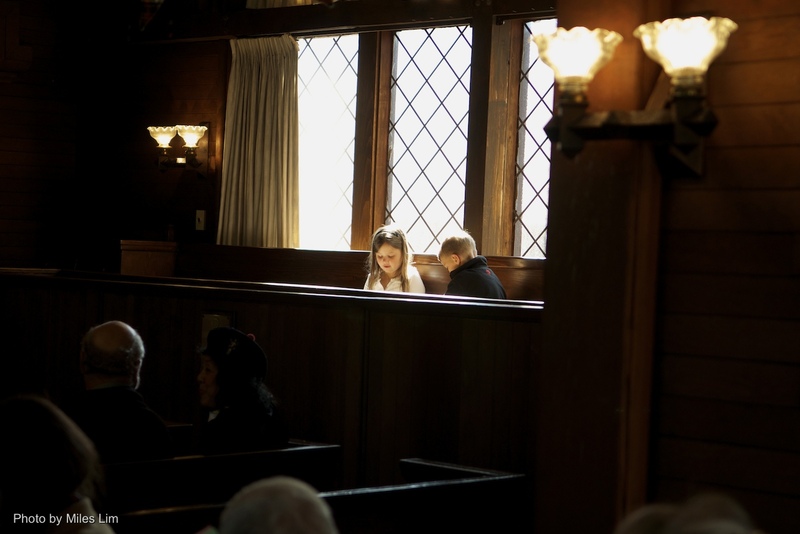 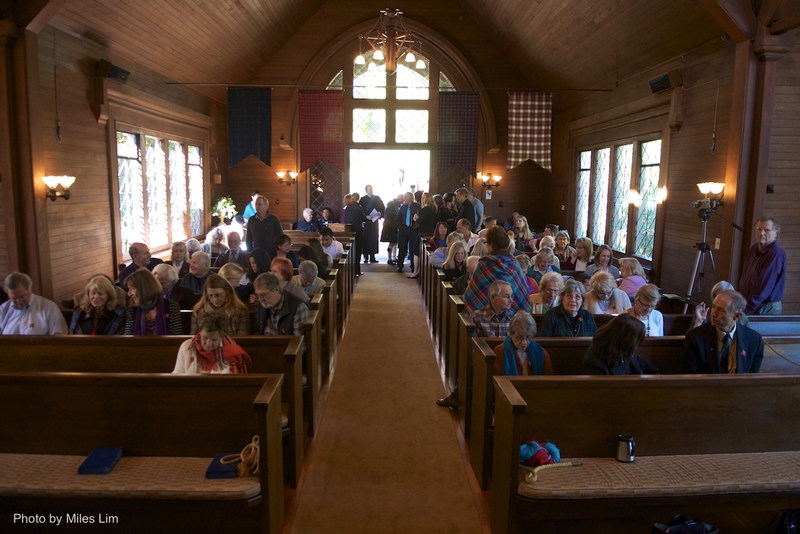 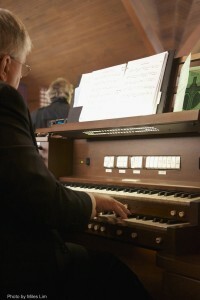 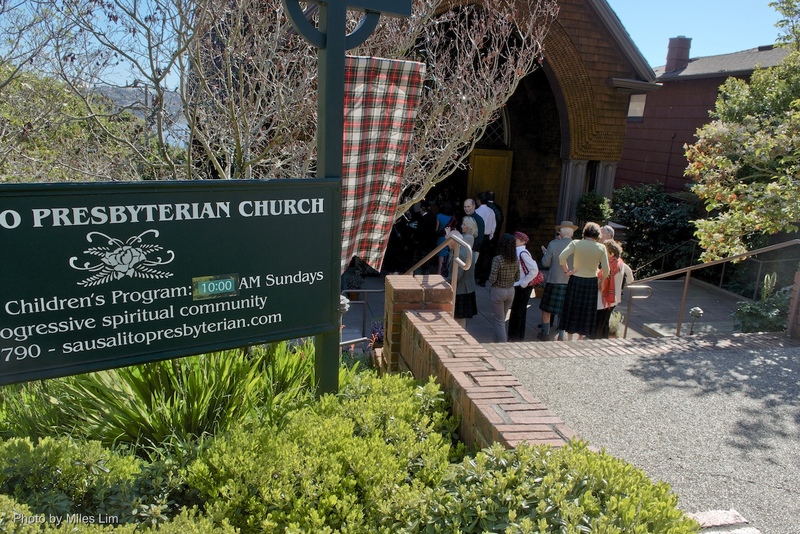 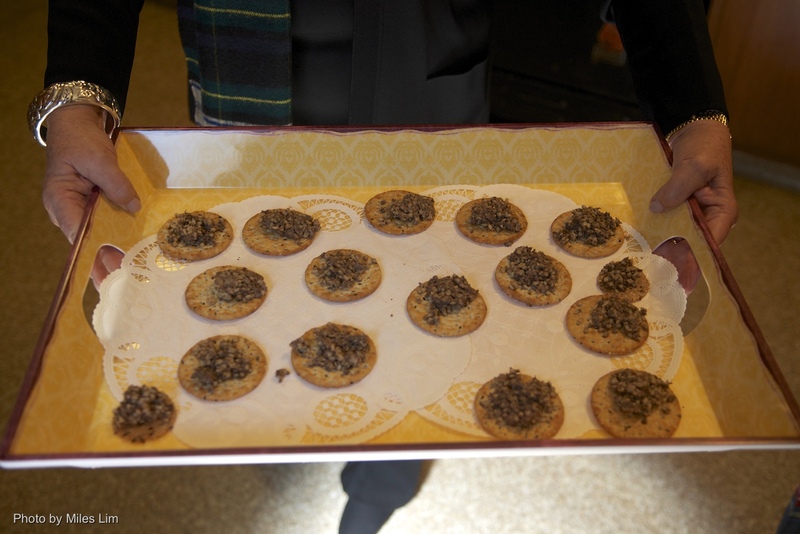 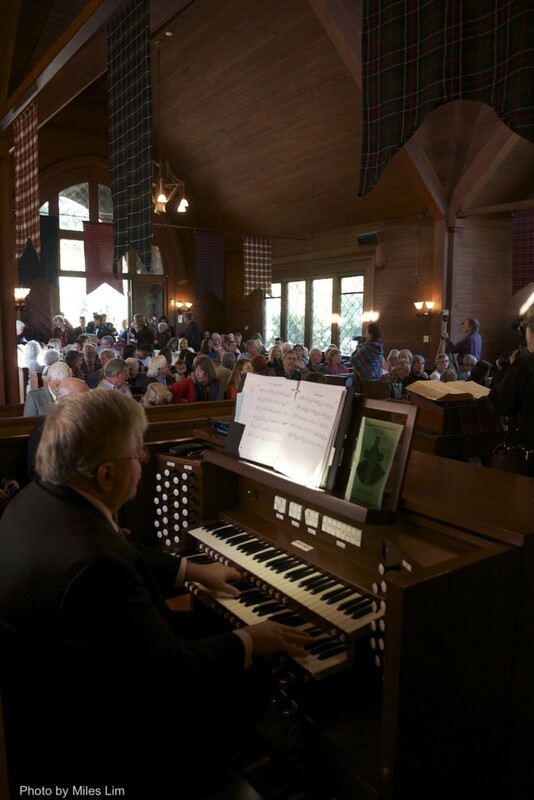 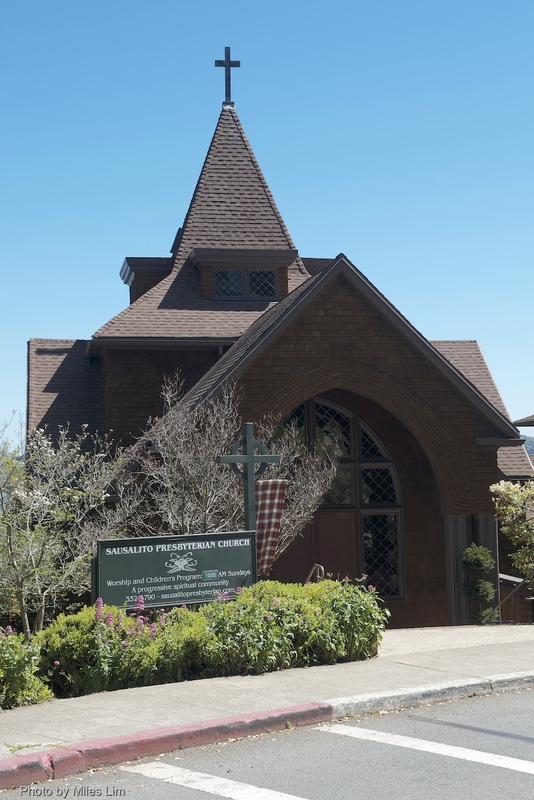 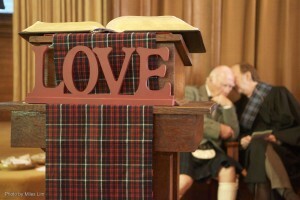 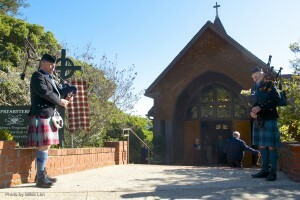 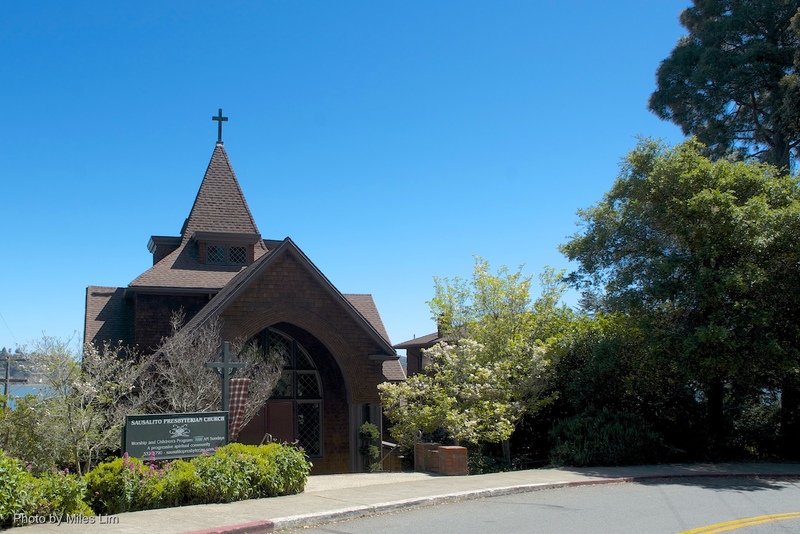 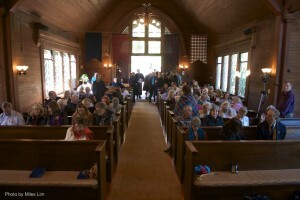 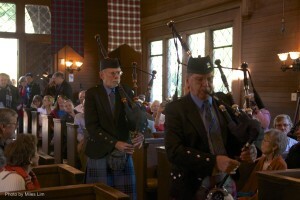 By the time the service started at 10:00 AM, over 100 people were seated in the pews, many with plaid scarves, skirts, or small tartan swatches. 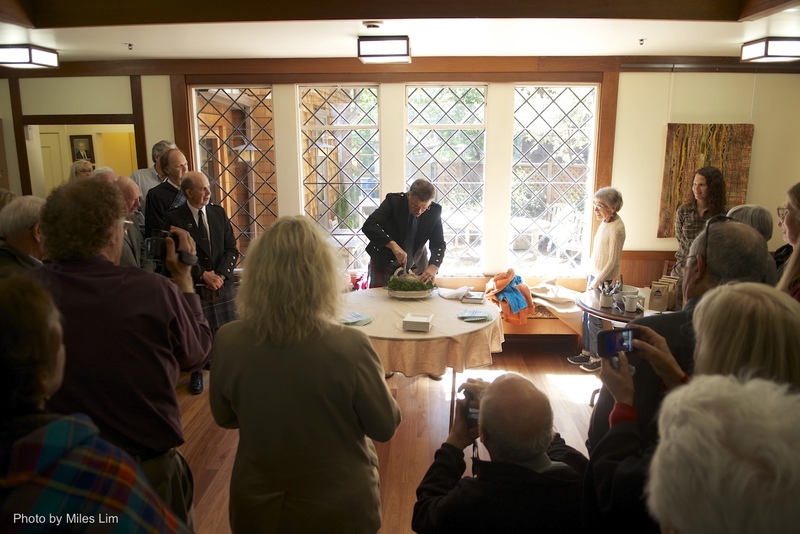 And then came fellowship…and the piping in of the Haggis, with a stirring rendition of Robert Burns’s Address to a Haggis by piper Lindsay Hall, a native of St. Andrews, Scotland. 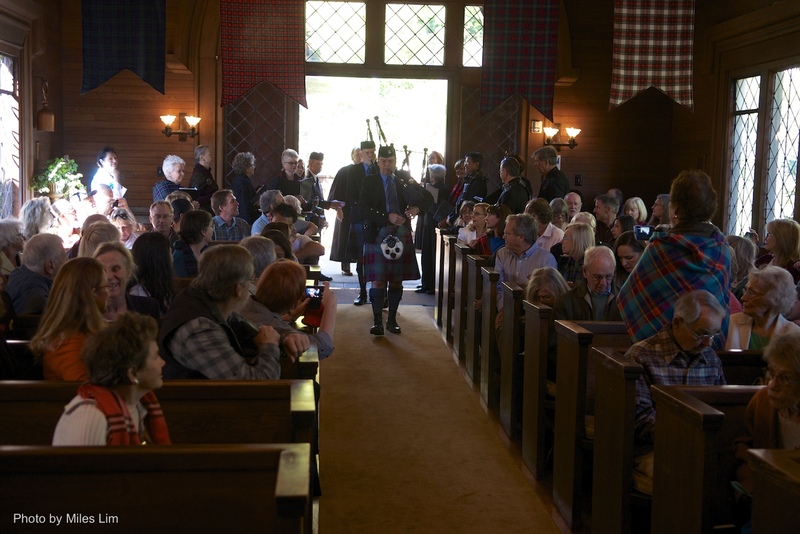 And Chris Yamate, an accomplished piper with the band, entertained us during fellowship with beautiful melodies on her Celtic harp. 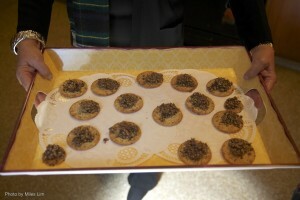 Our community was buzzing with excitement! 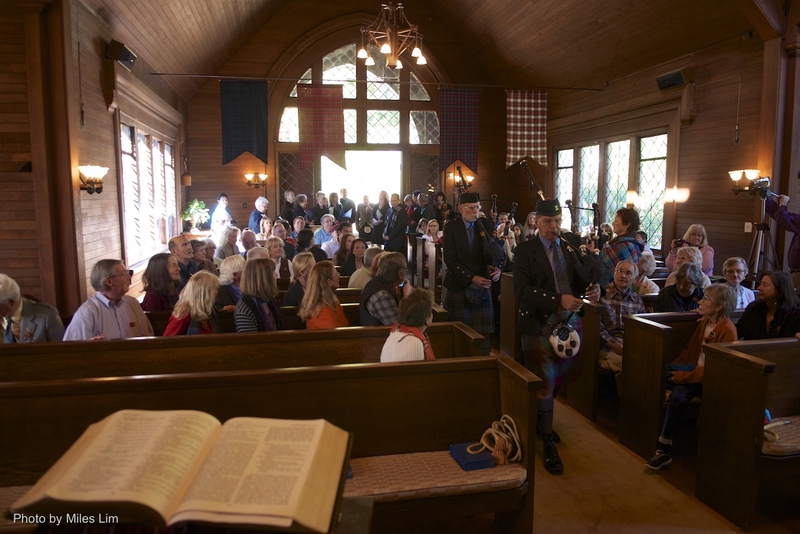 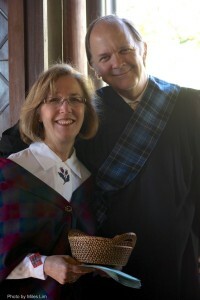 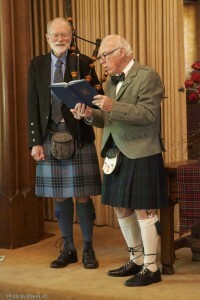 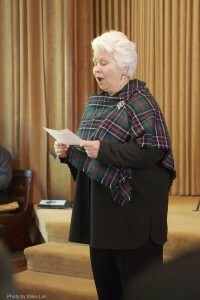 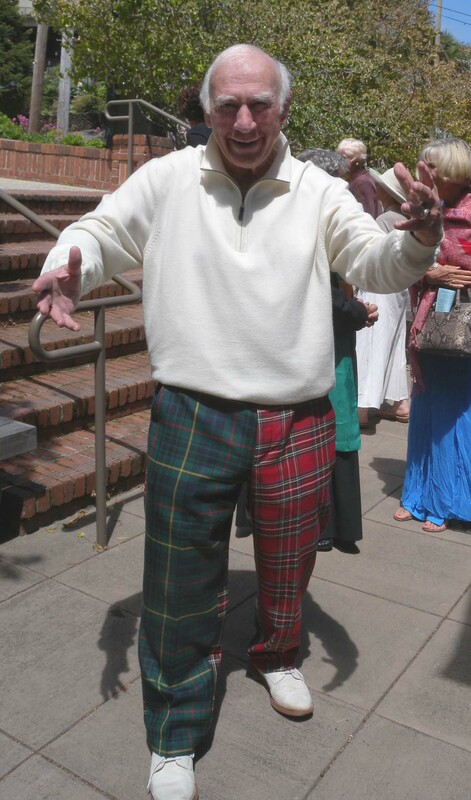 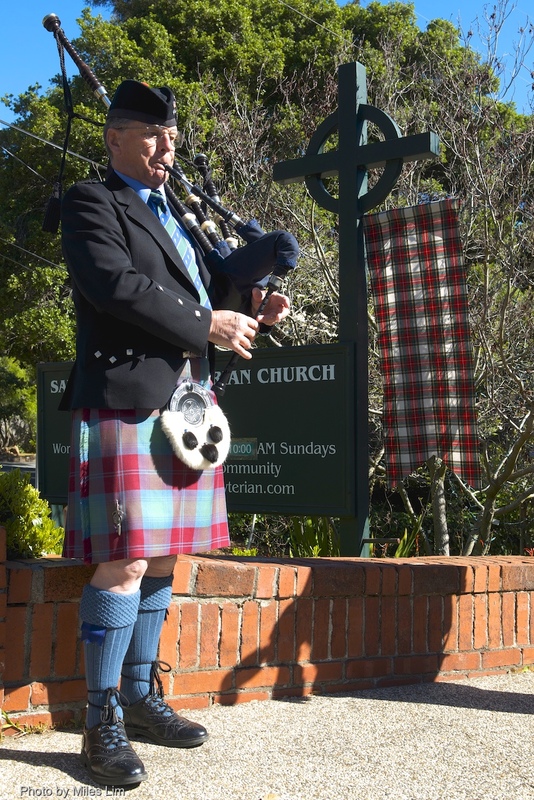 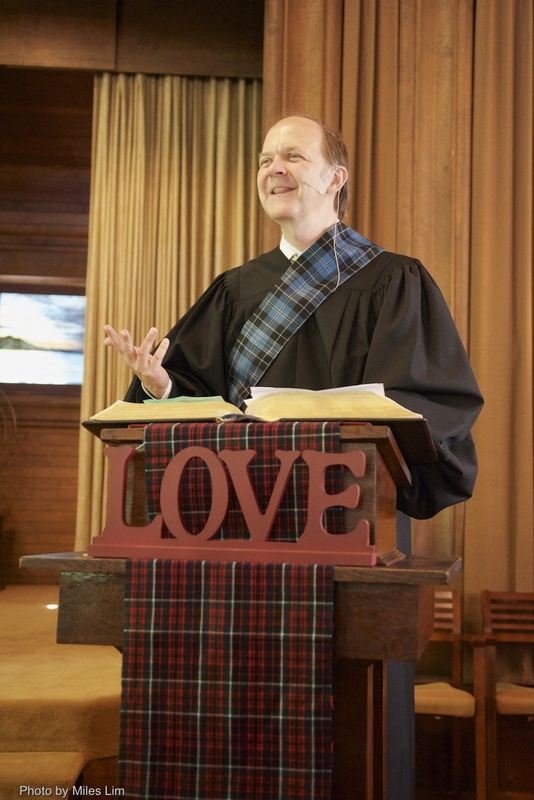 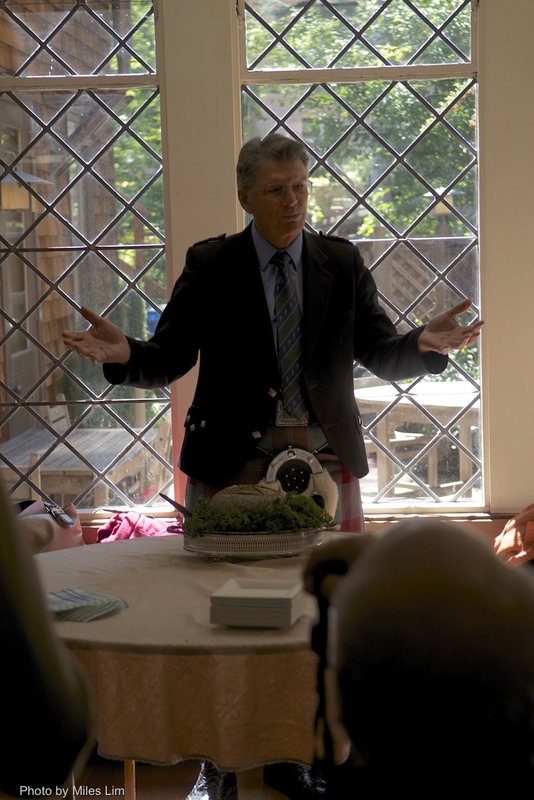 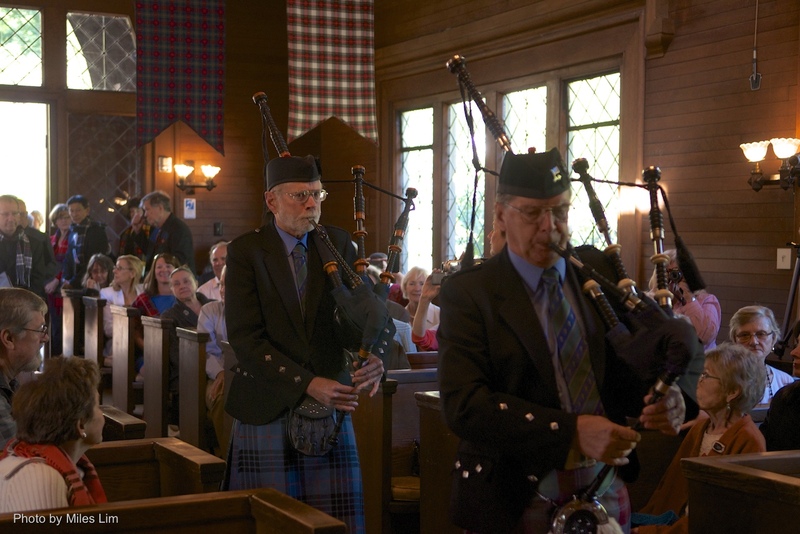 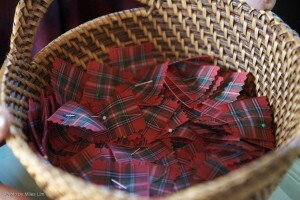 This Kirking of the Tartan service was expertly, lovingly and painstakingly organized and led by Bill and Brenda McKown, Jim and Nancy (“Scoop”) Osborn, with Claudia Webb cooking up a storm, and Carson Smith hanging tartans and helping out every which way he could! Tremendous waves of appreciation to you all! 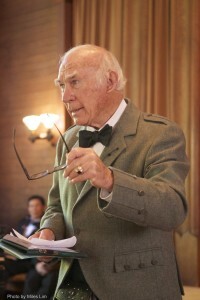 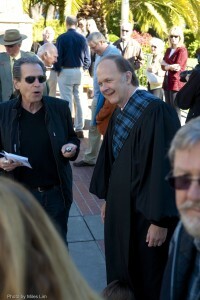 Miles Lim has blessed us with his talent and photos of Kirking, April 14, 2013.